F eet First Philly is a pedestrian advocacy group sponsored by the Clean Air Council. Our aims are to raise awareness of issues facing pedestrians in the City of Philadelphia, improve the pedestrian environment, protect the rights of pedestrians, and encourage walking as a mode of transportation, as well as for exercise and recreation. Philadelphia is planning for a healthier city by changing design standards to make the city more pedestrian-friendly. Philadelphia2035 includes recommendations for Complete Streets (roadways that accommodate all modes of transportation) and other ways of capitalizing on the City’s walkability, including creation of a trail network to connect residential areas with parks and waterfronts. The Pedestrian and Bicycle Plan makes recommendations to improve conditions for walking and bicycling in the city; and the Get Healthy Philly program encourages more physical activity in daily living. Feet First Philly also supports and advocates for Vision Zero programming in Philadelphia, with the goal of reducing traffic-related injuries and fatalities. This includes red-light cameras and electronic speed enforcement, as examples. Using these plans and programming as a guide, Feet First Philly is undertaking initiatives to improve the pedestrian environment. Anyone interested in promoting walking and walkability in Philadelphia is invited to join Feet First Philly. 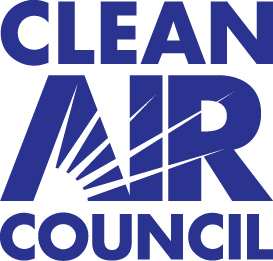 Contact us at feetfirstphilly@cleanair.org or sign up for our mailing list by filling out the form below.